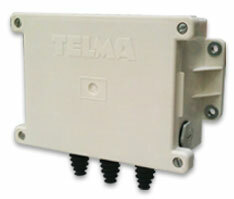 Retarders Accessories - Telma S.A. In order to facilitate the integration of its retarders, Telma offers customers an extensive line of original accessories. Telma accessories guarantee perfect equipment compatibility and quality in line with the legendary reliability of its retarders. 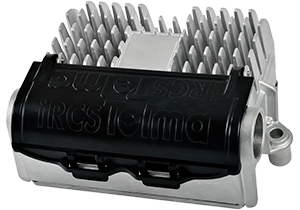 The iRCS (integrated Retarder Control System) is an electronic box designed by Telma that integrates both the control and power functions into a single module. The innovative electronic design of the iRCS's power function significantly reduces the retarder's energy consumption and preserves its electric circuits. The modernity of design and flexibility of the control part of the iRCS, as well as its compatibility with CANBUS networks, allow for seamless integration of Telma retarders in all vehicles equipped with electronic braking systems (ABS, ESP, EBS, speed control, automatic transmission control...). The iRCS complies with the ISO 26262 ASIL Functional Safety Standard. The CAN adaptor is an electronic box that interfaces with the CAN bus of the vehicle according to IS0 11898. Among other things, it allows to multiplex the analog signals of a hand lever, a pressure switch or even to pilot a light on the dashboard. 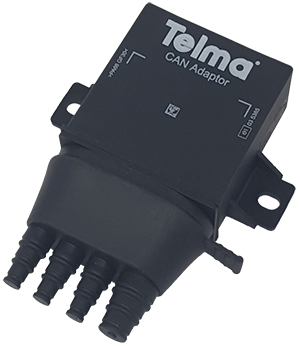 The CAN Adaptor ensures seamless integration of Telma retarders into all vehicles equipped with any electronic braking system such as ABS or ESP®. The CAN SAE J1939 protocol is available as standard. On special request, it is also possible to develop other CAN protocols. The CAN Adaptor is specifically programmed for each vehicle configuration prior to delivery to customers. It can also be used for retrofit or industrial applications. A CB (Contactor Box) ensures power supply switching through the retarder's various power stages. The CB's design makes it a simple, effective and proven solution. The LSC (Low-Speed Cutoff) prevents the retarder from being unnecessarily fed when the vehicle is stopped, thus preserving electric systems of the vehicle as well as of the retarder. A Lever allows the driver to directly control the retarder. It also allows activation of the speed control function on downhill slopes. The various models of Telma Levers allow for smooth integration into any dashboard configuration. Integrated into the vehicle's pneumatic air brakes system, the pressure switch controls the automatic and progressive activation of the retarder through the brake pedal. Each pressure switch is specifically calibrated to perfectly adjust to the configuration of the vehicle in which it is installed.